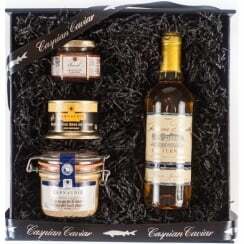 A range of gifts for gourmets. 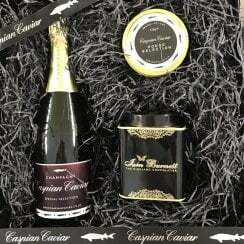 We offer one of the largest ranges of caviar available in the UK. 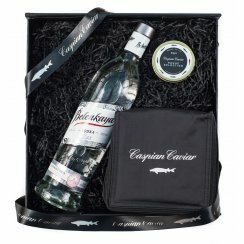 At the top of the range, we offer caviar from the mighty Beluga sturgeon as well as two of the very best Oscietra caviars produced in Europe. 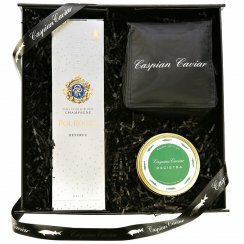 Caspian Gold is a hybrid caviar farmed in China, while the rare Sevruga caviar is an excellent example of its type from a farm in northern Italy. 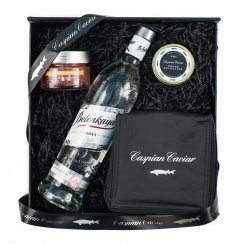 Our Sibirskye caviar is from the Siberian sturgeon and delivers a full flavour on the front of the palate. 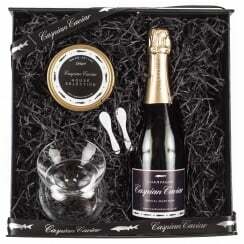 The Caspian Caviar House Selection and Caspian Caviar White caviar are two caviars that offer exceptional value. 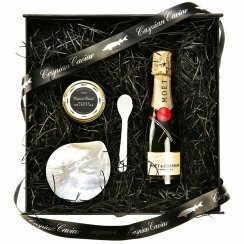 For those in search of a broader caviar experience, we offer a range of caviar Trilogies, giving the opportunity to taste and compare three of our very special caviars. 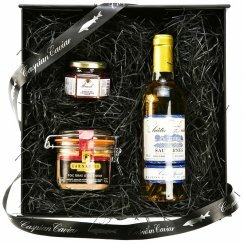 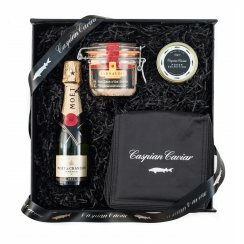 We also offer a range of hampers and gift sets, many featuring our caviar, designed to provide stylish and unusual gifts to suit every taste. 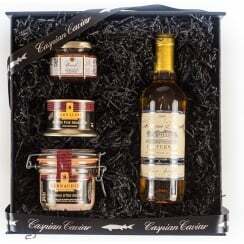 If you dont see exactly what you are looking for, do contact us as we do do bespoke gifts and hampers.